L/ Certified, CARFAX 1-Owner. EPA 28 MPG Hwy/22 MPG City! Heated Seats, Moonroof, Satellite Radio, iPod/MP3 Input, CD Player, Dual Zone A/C, Keyless Start, Onboard Communications System, Back-Up Camera, PARKING ASSIST CLICK ME! POWER TILT & SLIDE MOONROOF/SUNROOF, COMFORT PACKAGE Electrochromic Mirrors, Blind Spot Monitor w/Rear Cross Traffic Alert, Heated & Ventilated Front Seats, POWER BACK DOOR W/KICK SENSOR auto and easy closer door, wireless lock, unlock and panic alarm, PARKING ASSIST clearance and back sonar, ACCESSORY PACKAGE Cargo Net, integrated storage pouch, Carpet Cargo Mat, Key Gloves, Alloy Wheel Locks. 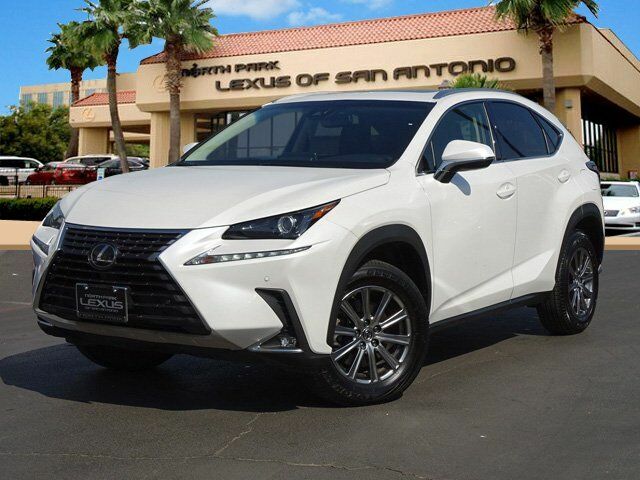 Lexus NX 300 with EMINENT WHITE PEARL exterior and BLACK interior features a 4 Cylinder Engine with 235 HP at 4800 RPM*. Lane Keeping Assist, Blind Spot Monitor, Cross-Traffic Alert, Child Safety Locks, Electronic Stability Control, Brake Assist, 4-Wheel ABS, 4-Wheel Disc Brakes Great Gas Mileage: 28 MPG Hwy. "From the stitched material on the dash to the many soft and padded surfaces, the Lexus NX exudes the sophistication of a higher class of vehicle than what you're actually driving." -KBB.com.